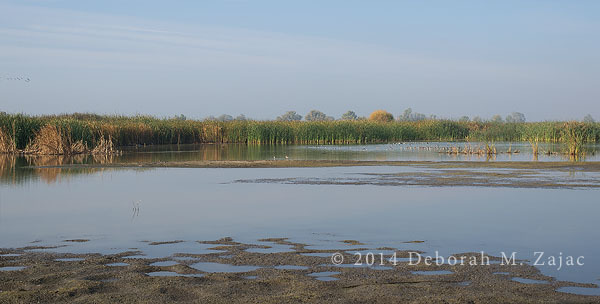 I spent Saturday at two Wildlife Refuges: Merced National Wildlife Refuge, and San Luis National Wildlife Refuge. It’s takes just about 2 hours to get there from my house even with a stop for coffee along the way. It’s a fairly easy drive, and the only worrisome part of the drive is crossing Pacheco Pass, and only in the two lane windy section. Fortunately traffic was light going, and not much worse on the way home. 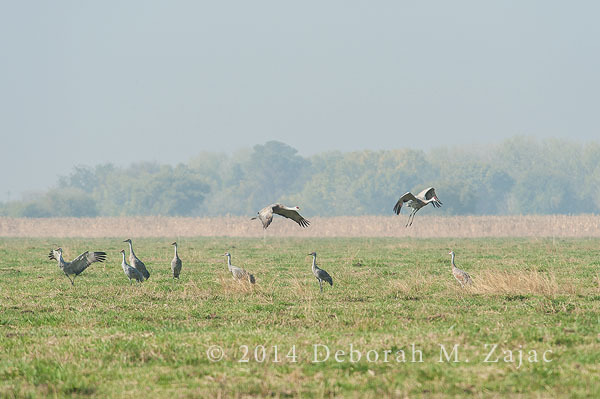 I was hoping to see Sandhill Cranes which my friend Judi shared were starting to return for the Winter. With the drought being pretty severe here the Refuges have had their water allotments cut way back so, there’s not much water there. I suspect that will influence the number of birds that winter there, and the numbers will be a lot fewer than in past years. At Merced National Wildlife Refuge there are a couple of observation decks, and a large auto-route with quite a few pull-outs. I arrived not long after the gate opened, and only saw one other car ahead of me. For two hours we were the only people in the refuge. It was really nice not having cars pass me and frighten the birds. Here are the only Sandhill Cranes I saw. They were in the last field, and as always very skittish. They started moving deeper into the field when I stopped. While I was imaging the group I had the good luck to see two more fly in. 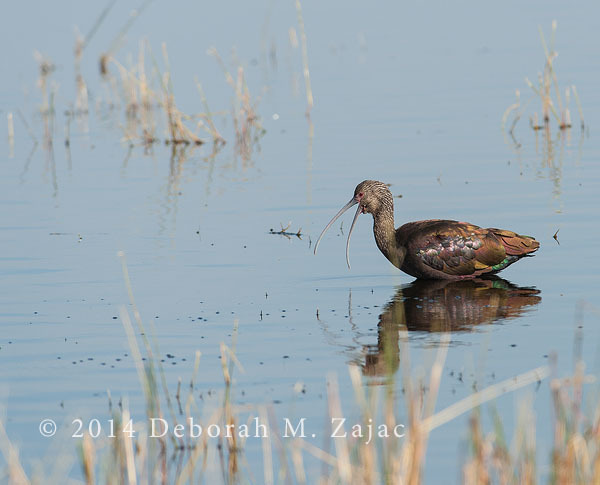 There was a flock of White-faced Ibis here, and they were so hungry they didn’t worry about me at all. There were a few quite close to the road. This one just yawned when I crept up. I love the colors in their feathers. 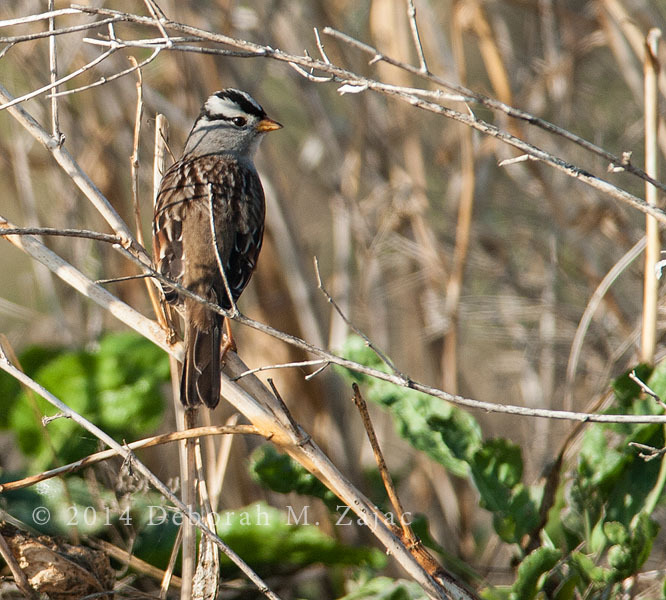 The White Crowned Sparrows are returning everywhere, even here. It was foggy when I left home, and there was haze around the countryside, and Refuge. I had hoped to meet my friend Judi here, but the air quality was really bad. There had been a report the night before that the air quality would be bad and people should not go out. I got Judi’s message about that too late; after I arrived at the Refuge. She’s on bottled air and didn’t dare leave the house. 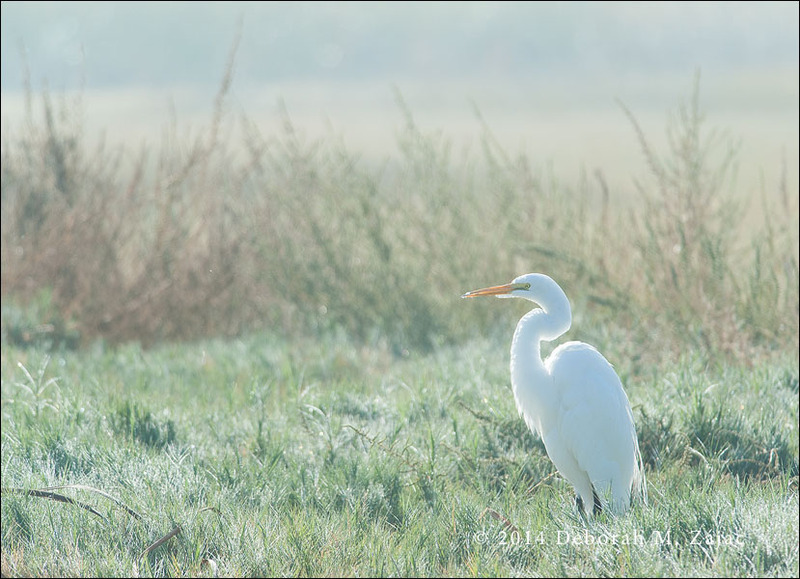 You can see the haze in several of the images, but especially in this image of a Great Egret I saw. He didn’t bat an eyelash at my presence! Their stillness and concentration are amazing. I liked the back lighting, and the haze gave the image a soft, dreamy look. The Coots are back, as are the Shovelers, Mallards, and some Greater Yellowlegs. 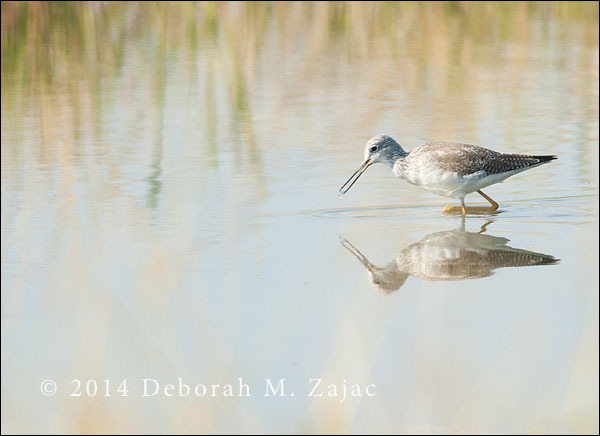 While photographing the Greater Yellowlegs I put down my camera to take in the pond. You can see how much the water has already receded/evaporated. I have a lot of images to go through and can’t share them all in this post. I haven’t even got to the second refuge images yet. Nikon D700| AF-S Nikkor 300mm f/4| AF-S Nikkor 14eII Teleconverter| braced with this beanbag.